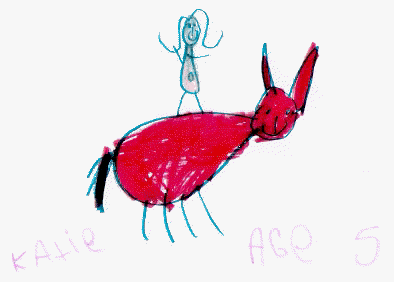 The story of Lady Godiva and her legendary naked horseback ride through the streets of Coventry is told here in the form of a children's poem, by British children's writer Paul Perro. 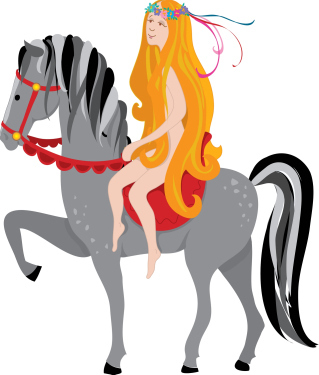 Everyone knows the story of Lady Godiva, but do you know who she was or why she did it? Well, Godiva was a good woman who carried out her daring stunt to help the poor people of her home town. Paul Perro's poem below tells the story in a fun way. Did it really happen or is it a myth? Well, possibly a little of both. To help you decide, we have collected some interesting facts at the bottom of this page. After you have enjoyed the poem, keep scrolling down to find out more. And he lived in Coventry. And she was as kind as could be. While everyone else is poor. To help the hungry and needy. Stay away from my moneybox! And let down her long hair. “Or else it would be rude. We’ll have to give our money away. In Anglo-Saxon, Godiva's name was Godgifu, meaning "God's gift." She was married to Leofric of Mercia, a powerful earl who controlled most of central England, a friend of the king, Edward the Confessor. The legend has it that Godiva, a generous and kind-hearted lady, accepted a challenge from her husband, that if she rode naked through the streets of Coventry, he would reduce taxes for the commoners. She won the bet, letting down her long hair to cover her body so that no-one saw her nakedness. The events of the story are believed to have taken place in 1043 AD. Historians now think it more likely that "naked" just meant dressed plainly and without her jewelry on. The idea of her taking all her clothes off would have been unthinkable to a pious Anglo-Saxon lady. Over the centuries, parts of the legend changed in the retelling. A 17th century version of the story has all the citizens of Coventry averting their eyes in solidarity with Lady Godiva's protest...all the citizens except one. A tailor called Thomas, has a sneaky look. He is punished for his curiosity though, by being struck blind (or struck dead, depending on who was telling the story). This unfortunate character gives us the expression "Peeping Tom." Godiva processions have been held regularly (sometimes annually) in Coventry, to commemorate her protest, since the 17th century. Sometimes the actress playing Godiva has worn a tight fitting flesh coloured dress, and fights have been known to break out in the crowd among young men keen to get a better view. In 1949 a bronze statue of Lady Godiva was unveiled in the centre of the city.